This is the amazing story of a baby born with his brain partially growing out of his skull. During the pregnancy, doctors feared the worst and suggested an abortion. The two parents staunchly refused. After they found a doctor who had experience with their son’s rare disorder, there was hope. Their little Dominic Pio Gundrum made it in the end! Now, he is flourishing! Little Dominic Pio Gundrum was born with a very rare disorder called encephalocele, a condition where part of the brain grows outside of the skull. Fearing the worst—possibly death or severe disability after birth—the doctors suggested that the parents abort the child. 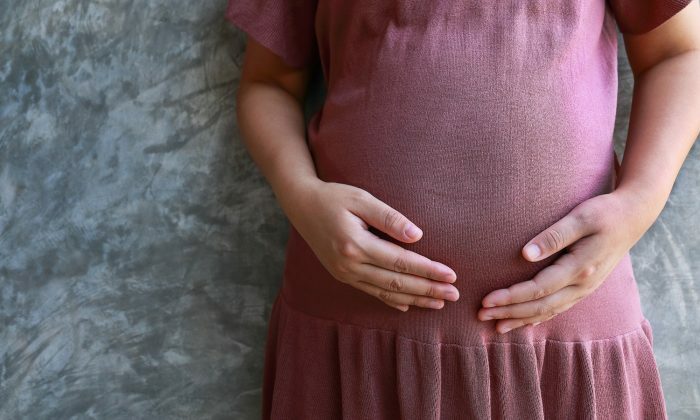 The couple, who already had seven other children, and who were devout Catholics, refused to terminate the pregnancy, opting instead to put their child’s life in God’s hands. “That’s my child. It’s that simple. I’m not going to take the life of my child,” said Mary Gundrum, Dominic’s mother. Despite her faith, Mary was unable to find any hope of saving her son while researching his condition online. “I couldn’t find any message of hope,” she said. Thankfully, she eventually did find Dr. John Meara, who had some experience with encephalocele. She then sent him Dominic’s ultrasound to examine. What Dr. Meara discovered was yet another complication: Dominic also had a Tessier facial cleft. Essentially, the two sides of his face—starting from his upper lip to his forehead—were separated. A “bubble” growing out from where his nose should have been was believed to be his brain growing out of his skull. Dr. Meara described the combination of the two conditions as “exquisitely rare.” Under such circumstances, many parents would have aborted the child. However, what Dr. Meara said was profoundly comforting to Mary and Mark Gundrum: “I want you to know it’s going to be OK,” the doctor said. Dominic was born via cesarean section at Froedtert Memorial Hospital in Milwaukee on June 18, 2012, weighing a healthy 8 pounds (approx. 4 kg). “You look at him, you say ‘this is who he is,’ and then you fall in love,” his mother shared. There was some good news, however: The “bubble” growing out of the boy’s nose was not the boy’s brain growing outside his skull after all; in fact, it was just filled with fluid. Both the parents became even more hopeful when the doctors started planning surgery to repair the facial cleft—to remove the encephalocele, bring the two sides of his face together, and essentially close the boy’s skull. Dr. Meara planned a joint surgical procedure with neurosurgeon Dr. Mark Proctor. However, the procedure was not without its risks, as Dr. Meara soberly understood. Nevertheless, despite some complications during the surgery, the operation was a success. Dominic spent several weeks in intensive care and went home to Wisconsin one month after surgery on Jan. 8, 2013. The boy is now doing great. Despite that half of his brain—the corpus callosum, which connects the left and right sides of the brain together—is missing, causing him to develop his walking and talking skills more slowly, Dominic is nevertheless a very happy little boy, and thriving!